When talking wine styles in the Sierra Foothills, one size does not fit all. Grapes grown at different elevations will have different style characteristics. Those from the highest elevations (2,000 feet up to 3,600 feet) will have the most natural acid, the least body (read alcohol), often lighter color, and frequently the most lifted floral-tinged aromas. Because of their natural acid, these high elevation wines will age well, but reds may be astringently tannic when young. The grapes grown in the middle elevations (say 1,000 feet up to 2,000 feet) will have a longer season, and experience more heat during that longer season ~ hence more alcohol, more extract, lower acid, riper aromas. These mid-level red wines will have more tannin (because of the alcohol extraction), but the tannins will be softer, more mature, at an early age. Grapes from the lowest elevations have the ripest aromas, the least acid, and the softest tannins. This last group will tend to be shortest on the palate, and the least complex, but can be very impressive nonetheless because of their enthusiastic fruitiness. The lower elevations also have more top soil, which means bigger crops, less concentration, and more attractive price points. The grape variety most associated with the Foothills, accurately or not, is Zinfandel. Certainly there is historical precedent. Mission grapes (the Criollo, or Pais) were planted everywhere in California during the 1800’s. So was a lot of Catawba. Together they made sweet, alcoholic, bland wine which barrel aged into a nutty, port-like face slapper often called Angelica. It was kind of an early California specialty. No doubt consumed in copious quantities with great relish by miners who had just emerged from long hours of back-breaking labor in the middle of a thigh-high 40ºF snowmelt stream. Zinfandel was an obvious, high-quality wine alternative, and several Foothills growers made serious efforts (five- or six-day round-trips on horseback) to acquire Zinfandel cuttings from nurseries near San Jose. Both Sonoma and Paso Robles have histories with Italian immigrants and Zinfandel grapevines which date to this same period from about 1885 to 1918. 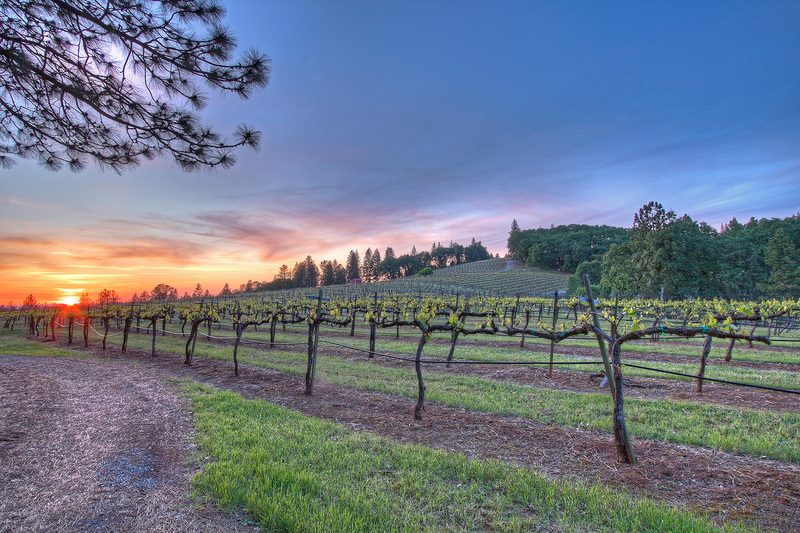 All three areas have significant numbers of ancient Zinfandel vineyards. The distinction is that the Foothills wine industry experienced its glory years from about 1860 to 1880. Then held on by servicing its Italian population for another 40 years. Then completely flickered out when Prohibition began in 1920. Sonoma and Paso Robles didn’t have glory years during the Gold Rush, but their Italian populations kept them perking along throughout Prohibition and between the World Wars. Then, when Sonoma and Paso Robles started to boom in the 1960’s, Zinfandel wasn’t their major claim to fame. They each had several grape varieties to which their stars could be hitched. The Foothills didn’t start to come back until 15 years later, and it was ALL about Zinfandel. The most precise comparison of Zinfandel from the three regions uses Amador County to represent the Foothills. Amador Zinfandel is unique in the world because of its brackish aftertaste (a gout de terroir shared with other varieties grown there). The effect is to rein-in an otherwise cloying, stewed fruit sensation one finds very pronounced in Amador’s old-vine wines. Sonoma old-vine Zinfandels have complexity, and concentrated fruit, but are not really jammy (nor brackish). Old-vine Zins from Paso Robles have a more dried-out characteristic in the finish, and are the spiciest of the bunch ~ walnut leaves is the image I find most evocative. 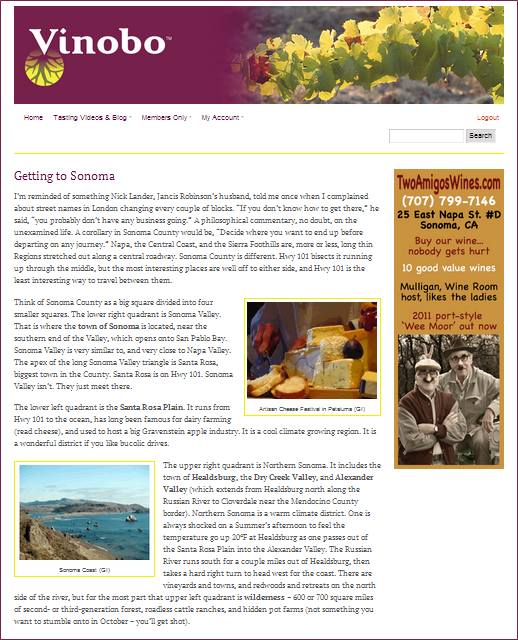 I personally enjoy all three regional styles, but recognize the Sonoma version as having the broadest consumer appeal. Foothills style is more of a learned pleasure, albeit one whose adherents can become quite fanatic. One hesitates to say Barbera is undiscovered among great California wines, because everybody and their brother in the Sierra Foothills are moving to make one these days. Greg Boeger has made one every year for twenty years. I used to do a class at a loft in San Francisco, where we would phone for restaurant take-out deliveries to match with wines costing under $20 a bottle. Greg’s Barbera always got a standing ovation. Nevertheless, there are only 6,600 acres of Barbera in California, and about 5,000 of those are bulk junk in Fresno and Madera Counties (Central Valley). Amador is the centerpiece of the Foothills Barbera rocket, and there are only about 250 acres, split there between Amador and El Dorado. Louis Martini winery in Napa, and Lou Preston in Sonoma’s Dry Creek Valley, have made really good Barberas for decades. But, like Greg Boeger’s, these wines are medium-bodied, well-balanced, possessed of a beguiling pepperoni pizza bouquet, and simply too damn competent for their own good. Everyone likes them, but nobody has ever had to pay enough for one to remember the name two weeks later. That’s starting to change now in Amador. Ten or fifteen wineries are making big, gutsy, dark-colored Barberas that seem to be aimed at the motorcycle crowd. I’ll drink ‘em, but I wouldn’t tell my mother I had. If you’re looking for a food pair here, I’d suggest Jack back. The opposite stylistic phenomenon has occurred with Sangiovese. Several good ones are being made in the Foothills, but the style is lighter-colored, lighter-bodied, and generally more nuanced than the best examples from Napa, where Piero Antinori has been operating, and where Greg Rodeno has a clone reputed to be from Biondi-Santi in Montalcino. I’m only talking here about successful Sangiovese wines ~ there are many in California which taste like cherry soda-pop. Leaving those aside, I think Napa generally gets more color, more depth, more of the classic tarry overtone. I suspect the grapes get riper, as with Cabernet Sauvignon. In the Foothills, I think the shorter season results in Sangiovese with interesting facets of flavor, and admirable horizontal development, but less power. A witty argument instead of a cudgel. In many wine regions around North America (Pennsylvania, Niagara Peninsula, New Mexico), Cabernet Franc is highly prized because it ripens well several weeks before Cabernet Sauvignon. One can get heated debate from partisans in any of these regions (and several others) as to who genuinely achieves superiority. It is not my ambition to handicap that race. For our purposes here, I’m going to pick the small wineries in Eastern Long Island as our examples. It’s a good choice because of their accessibility to the greater New York / New Jersey market, therefore relative name recognition. Long Island is also the prototype maritime climate, and has been growing Cab Franc and Merlot for nearly 40 years. Long Island has exceptionally porous soil. It is basically glacial till, dumped there at the end of the last Ice Age. That’s really helpful when you get a lot of rain at the end of the season, but don’t have hills. In Napa Valley Cab Franc gets ripe every year. It is earthy, with nuances of anise, and lighter-bodied than Cab Sauv. It has several similarities to Cab Sauv, but a less imposing package. It’s a second-string wine. On Long Island, Cab Franc is very dependent on crop levels and on growing conditions from vintage to vintage. If growers get 8” of rain in early October, as they did in 2005, their Cab Francs will all be thin and vegetive. Okay for a flavorsome rosé, but not exactly a shining beacon to wine personalities from Manhattan. Long Island can do well with combinations of CF and ML if they prune severely and drop crop after veraison (‘green harvest’). The style of Long Island CF, in good years, is medium-bodied wine with round raspberry aroma, and balancing green threads in a smooth finish. CF in the Sierra Foothills is similar to Long Island, only with a more lifted and floral aroma (think lavender), a more linear flavor profile, and a longer finish. Foothills CF can be a little gritty when young. Long Islanders will serve their Cab Francs with many sorts of fish. In the Foothills, CF would be useful with any manner of pasta, but a fish match would need to go in the direction of Blackened Redfish (New Orleans) or bass with scallions and black bean sauce (Chinese). Syrah is very successful in the Foothills. Of course Syrah is very successful in the Central Coast, in Sonoma, and in Mendocino too. Syrah seems to be affected by elevation in much the same manner as Zinfandel. That makes Syrah from a place like Amador more similar to Zinfandel and to Barbera from Amador than it is similar to Syrah from El Dorado or Santa Barbara. Amador Syrah is chewy and dark, with leathery notes in age and a good track record for bottle development. Syrah from higher elevation (like El Dorado) may have some black pepper spice similar to Syrah from the Santa Rita Hills in western Santa Barbara County, but it may also have some strong sour cherry fruit, with moderate color and medium-body. These cool climate versions may not be great aging candidates, but they are so wonderful at age three to five, it is hard to work up any rationale for extending bottle age further. Grenache is a new actor on the fine wine stage in California. There were 6,200 acres in 2011. Two-thirds of those acres were in Fresno and Madera Counties. That statistic brings to mind the flabby, sweet Almaden Grenache Rosé sold in half-gallon jugs that most people turned into terrariums in the 1960’s. That incarnation almost killed the varietal in California. Interesting Grenache in California right now comes from 635 acres in the Central Coast, 110 acres in Sonoma, and about 160 acres in the Sierra Foothills. It is very hard to draw conclusions yet, but there are a handful of very promising wines, particularly (and somewhat surprisingly) from El Dorado County. Intense raspberry nose with refreshing acid is the characteristic of these wines ~ drawing comparison to old-vine Garnacha from Spain, rather than to the southern Rhône Valley. Think Serrano ham, garlicky hummus, lemon cucumber, and just picked Golden Tear Drop tomatoes in fresh baked pita bread. Viognier is perhaps the Rhônish grape with the most unique expression at altitude in the Foothills. In Lodi Viognier takes on very fragrant aromas, but not much else. At the coast Viognier is much less aromatic, but it has flavor presence, and balance, and length. In the mountains it seems to combine these assets. You get the orange blossom aroma without any of the annoying phenolic, plasticizer characteristic. Then, in the mouth you get good acid balance and clean flavors. The wine has presence. It lingers in your memory. In Winter, serve with fondue, to which you’ve added a little citrus zest. Some of the very best Rieslings in North America come from Anderson Valley, on the ocean side of the coastal mountains in Mendocino County. Most unusual among them is Greenwood Ridge, which is grown above the valley, but looking right at the Pacific Ocean over Elk, a little town on the coastline. Making Rieslings with 2% residual sugar to balance the naturally high acidity has been going on at Greenwood Ridge for 30 years, as it has at Madroña winery in El Dorado County. I have tasted both of these wines side-by-side, and I’ve tasted vertical selections going back 15 years. I’d say the Madroña is a touch more ethereal; the Greenwood Ridge a bit more nectarine-like. The most obvious characteristics, however, are three they have in common: (1) they are both acidic, a little bitter, and very austere when they are released; (2) by year seven they have become engaging, fruity and luscious; with (3) a magnificent tension between residual sugar and acid that gives them focus when matched to food. I prescribe Camarones Diablo (like paella, but with big butterflied shrimp, serious chiles and chunks of tomato) to take full advantage of the otherwise hard to notice residual sugar in the wine. The same gout de terroir that affects Zinfandel in Amador gives Sauvignon Blanc there a distinctively metallic or brackish (think of wherever salt and metal overlap) aftertaste. It sounds much rougher than it actually is. Look at roadcuts throughout Amador. You will see a dull red color indicative of iron in the soil. The iron gradually oxidizes to form rust whenever the soil is exposed to air. Interestingly, the gout de terroir in the wine makes for some remarkable food matches. For instance, artichokes or spinach are very difficult foods to pair with wine because of their slightly metallic flavors. But they are perfect with Amador Sauvignon Blanc. The grapes get plenty ripe, so there is no Bell pepper smell to the wines, and they are fairly full-bodied. Try one with spanokopita, the Greek dish of spinach and goat cheese wrapped up in phyllo dough to make a kind of pie.